The difference, apparently, is night and day. 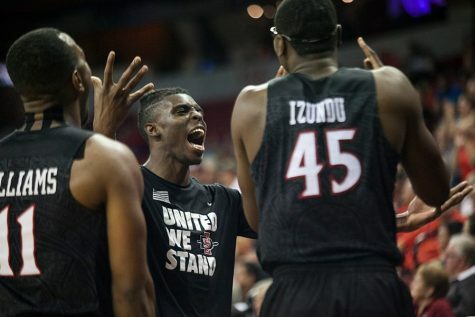 Night, meaning what San Diego State men’s basketball did last Saturday against Little Rock. 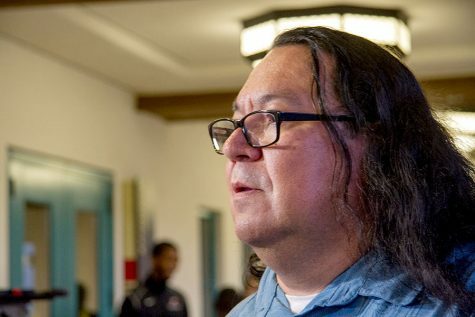 Day, meaning what the Aztecs subsequently have done to East Carolina University and now No. 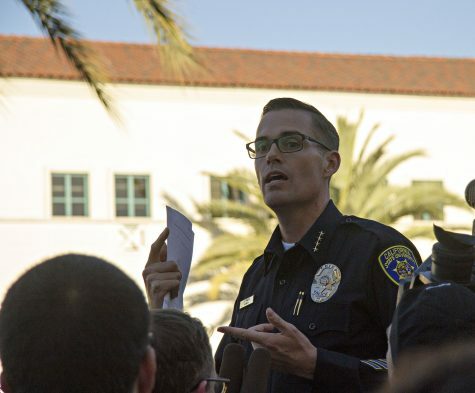 14 UC Berkeley. 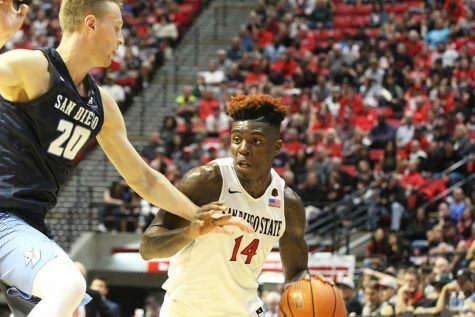 In a stunning turn of events, SDSU went from competitive, to on its way to a double-digit beatdown, to a huge double-digit win over Cal, 72-58 in the Las Vegas Invitational. The Aztecs overcame a horrendous 1-for-18 shooting drought (yes, 1-for-18) in the first half, uncharacteristically bad even by their standards. 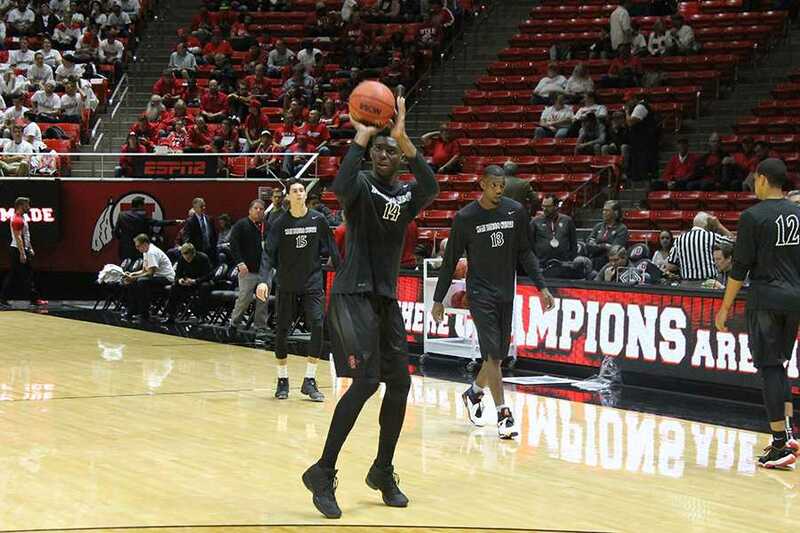 In his midweek press conference, after he so uncharacteristically changed his starting five after a bad performance, head coach Steve Fisher wasn’t sure if he’d change the starting lineup again this season, even with SDSU’s first ranked opponent looming on Thanksgiving Day. 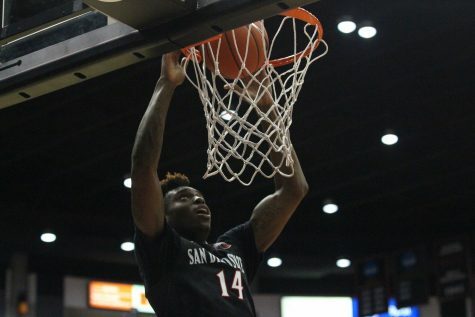 That same starting lineup took the floor against the Bears, but the former starters were the difference in the Aztecs’ resume-salvaging win. Senior forward Winston Shepard, just like the team, was night and day. He was 0-for-1 with two fouls in 10 minutes in the first half, then decided to take over like he did Monday against East Carolina. He had 15 points, five rebounds, four assists and zero (yes, zero, nada, zilch) turnovers. For a while it seemed like SDSU was going to have to try and hang with the 4-0 Bears, who’d won their four games by an average of 23.5 points. The Aztecs trailed by as little as two with 8:21 left in the first half after starting the game 8-of-14 from the floor. Then, mimicking the climate of the state of California, one of SDSU’s patented scoring droughts appeared in the form of the 1-for-18 flop to end the first half, including 10 straight misses. 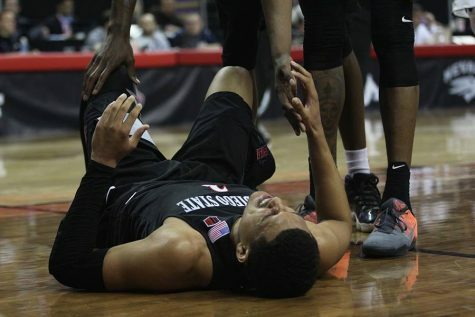 Last year the scoring droughts plagued SDSU, and they did so at awful times, such as in a clinching game against Boise State at Viejas Arena. 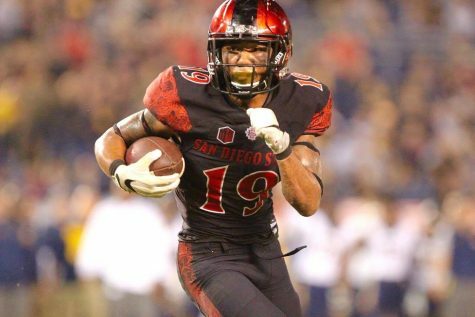 The Aztecs went 3:25 without scoring in the second half of a close game, then went 4:42 without a score in the same half, allowing the Broncos to cruise to a 10-point win. In the 49-43 loss against Little Rock earlier this year, the Aztecs went 4:41 without a score in the first half, ending up in a 19-8 deficit. Poor shot selection again was the reason for the scoring drought going into halftime against Cal. SDSU didn’t attack the rim, didn’t have the right people shoot long-range jumpers and didn’t rebound when it had to. The Aztecs also got their first taste of top talent this season in Cal’s freshmen forwards Ivan Rabb and Jalen Brown, both top 10 recruits and both projected as early NBA lottery picks. Rabb had his way with the defense, scoring 14 points and five rebounds in 14 minutes in the first half alone. Rabb showed off phenomenal footwork and body position to give himself good shots inside the paint, which he knocked down time and again. He fouled out in the second half with 18 points and nine rebounds. 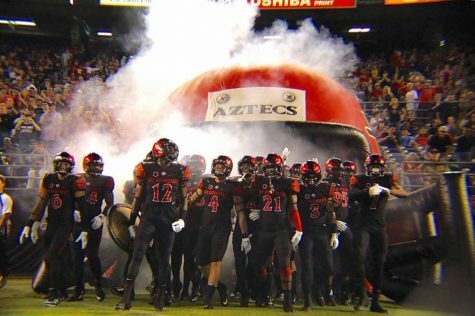 The Aztecs, though, might’ve considered themselves lucky to be down only eight points (36-28) to the 14th-ranked team in the country after the pitiful finish to the first half. But the second half was a different story, even though SDSU did exactly what it didn’t want to do and couldn’t afford to do coming out of the locker room: give up buckets. What the Aztecs needed was a fast start to the second half. Instead, they promptly gave up five points to go down double digits on two buckets from Brown, who had just one point in the first half. So with the score at 45-30 in favor of Cal, it looked likely the Aztecs were destined for a blowout loss until Shepard brought the Aztecs to a 50-48 lead. Cal tied it at 50, but it was the last whimper from the Bears as the Aztecs weren’t even done. They bumped it out to 58-50 on the back of the most unlikely player and most unlikely shot: senior center Skylar Spencer’s free throws. Spencer, shooting free throws with his right hand this year, inexplicably went 5-of-6 from the line at one stretch in the second half to go with three slam dunks, one of them on a pick-and-roll pass from Shepard, part of a career-high 15 points on 5-for-5 shooting. 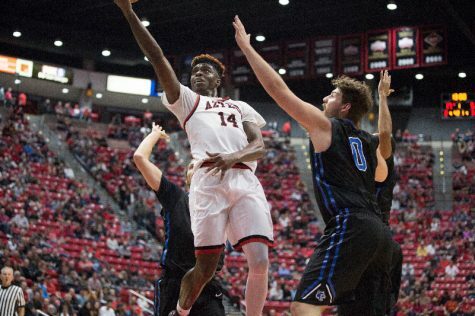 As the game whittled down and as Cal got into even more foul trouble (Rabb and Brown fouled out, and senior guard Tyrone Wallace had four fouls), it came down to free throws for the Aztecs. And free throws aren’t usually SDSU’s forte as evidenced by the 66.4 percent mark in its first five games. Thursday was different. The Aztecs went 22-of-28 from the line, 13-of-16 in that unbelievable second half. Next up for SDSU is West Virginia University on Friday, whose press defense forced many of University of Richmond’s 14 turnovers in a 67-59 win. Junior forward Devin Williams scored 23 points with 12 rebounds for the nearly-top-25 Mountaineers. SDSU won its 149th-straight game while leading with under five minutes to go (they led 58-50 at the five-minute mark). For the second straight game, the Aztecs committed less turnovers than their opponent: they had eight, the Bears had 15. The referees called 44 personal fouls, which is still less than the 52 that were called in the season-opening win over Illinois State. Redshirt-freshman forward Zylan Cheatham had his first career double-double, 13 points and 10 rebounds in 14 minutes, but more importantly, 7-of-8 from the charity stripe. Sophomore forward Malik Pope is still in a funk for whatever reason. He played just six minutes and scored four points on 1-of-7 from the field.